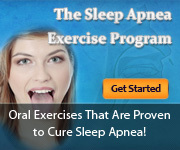 Snoring Problems: Any Idea Why You Have Them? Thyroidectomy is a type of surgery that is performed to remove all or part of an enlarged thyroid gland. According to American Thyroid Association news release dated Oct. 26, 2011, this surgery appears to reduce snoring and other symptoms of obstructive sleep apnea.